If we look around the house, we’d be surprised to see the variety of insects in our houses in spite of the cleaning and prevention measures we take. The tiny invaders are practically everywhere, in our cupboards, carpet, shelves, walls, air, just everywhere. A common remedy is to get chemicals available in the market but this is dangerous both for the environment and for the people in the house, especially children. Buying chemicals can also be a costly affair given there might be different types of pesticides for different type of pests and insects. Here are some home remedies for pests, which are natural, nontoxic and very simple. Ants have a natural aversion to all things that have a strong smell and flavor. Some of these things include garlic, cloves, mint leaves, cayenne pepper, citrus oil, lemon juice, cinnamon, vinegar (synthetic), ground coffee etc. Trace the ant line back to its start and keep any of these ingredients. For better results keep 2-3 of these ingredients on their path. Ants also have a natural aversion to cucumber. Place cucumber peels on their path. And if a cucumber turns out to be bitter, don’t frown because that’s one of the best ant repellents. Keep a spray bottle handy and spray soapy water on ants. Do it often to get rid of the ants. Dust mites are so tiny that you’ll hardly notice their presence but they are everywhere; furniture, clothes, curtains, upholstery, soft toys, linen and more. Dust mites can be especially hazardous for people suffering from allergies or with breathing troubles such as asthma. And is someone in the house is coughing or sneezing without any visible traces of flu, chances are your house is under attack from dust mites. Regularly vacuum around the house; all the shelves, linen, curtains, upholstery, books and all need to be cleaned regularly. Wash laundries in hot water preferably 120ºF or more. Do read washing instructions for your clothes because not all clothes are advisably washable in hot water. However, try to keep linen and curtains that can be washed in hot water for rooms of people with allergies or asthma, because if not removed, dust mites can be really nasty. There is special anti-dust-mite bedding available in the market that prevents dust mites. This is prescribed for allergy sufferers and asthma patients. Tannic acid, a powder commonly available in health-food stores and pet stores, helps in curbing dust mite nuisance. Dust affected areas to curb the problem. All this applies for bed bugs as well. Herbal Armor, a non-toxic, natural repellent is said to work as a great mosquito repellent. Citronella Bees wax and soy candles can be very effective in chasing mosquitoes away from a small, less breezy place, say if you are sitting in the patio or deck or some similar place. Azadirachta Indica oil. Azadirachta Indica is medicinal tree native to tropical and semi-tropical regions. It is commonly found in India, Sri Lanka, Bangladesh, Myanmar and other South East Asian countries. 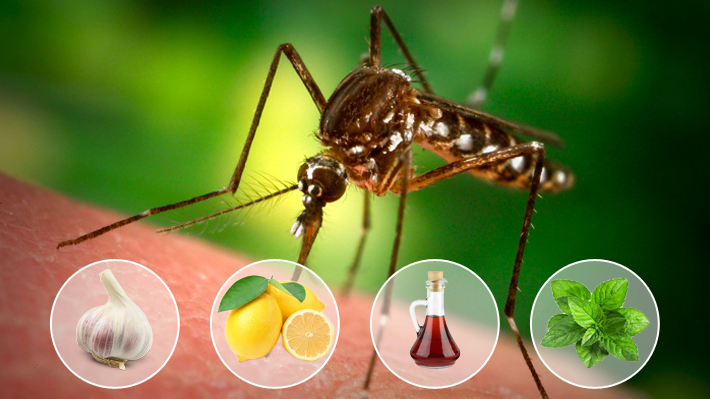 The oil (commonly known as Neem Oil, Indian name for Azadirachta Indica) is a very good natural repellent for mosquitoes. Apply it all over the skin. It is non-allergic and is said to have good effect on the skin. Avoid eyes and lips, as the oil is quiet bitter. Apply eucalyptus oil or keep a bunch of eucalyptus leaves where you are sitting. It is a natural repellent for mosquitoes. For flies, non-toxic flytraps are easily available in the market. Cockroaches are the yuckiest of all pests. Cockroaches breed fast so if not curbed, the cockroach menace can spread all across the house including your cupboards, kitchen shelves, sink, bathroom, and closets, everywhere. Getting rid of cockroaches can also be quiet a task because these pests can hide in the tiniest of the holes or seams and you might not even be aware of. The soapy water you prepared for ants works on cockroaches as well. Spray it on the cockroach and it will die. Leave natural ingredients like bay leaves, garlic and cucumber slices in area where cockroaches are commonly found. Leave catnip sachets are vulnerable places. Catnip is natural and non-toxic to humans and pets leaving cats. Do not use catnip if you have a pet cat. If nothing seems to work get the non-toxic roach trap.